Azure virtual network TAP (Terminal Access Point) allows you to continuously stream your virtual machine network traffic to a network packet collector or analytics tool. The collector or analytics tool is provided by a network virtual appliance partner. For a list of partner solutions that are validated to work with virtual network TAP, see partner solutions. The following picture shows how virtual network TAP works. You can add a TAP configuration on a network interface that is attached to a virtual machine deployed in your virtual network. The destination is a virtual network IP address in the same virtual network as the monitored network interface or a peered virtual network. 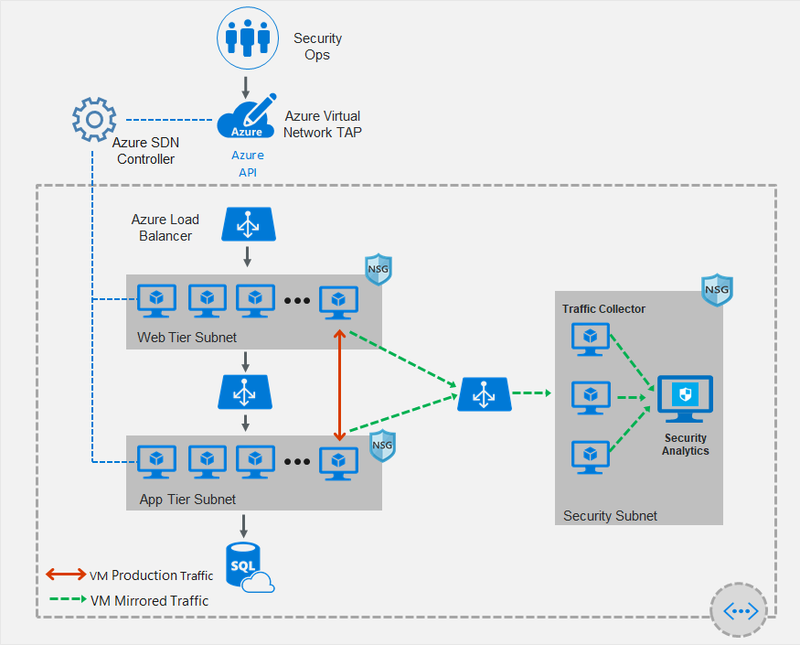 The collector solution for virtual network TAP can be deployed behind an Azure Internal Load balancer for high availability. To evaluate deployment options for individual solution, see partner solutions. Before you create a virtual network TAP, you must have received a confirmation mail that you are enrolled in the preview, and have one or more virtual machines created using Azure Resource Manager deployment model and a partner solution for aggregating the TAP traffic in the same azure region. If you don't have a partner solution in your virtual network, see partner solutions to deploy one. You can use the same virtual network TAP resource to aggregate traffic from multiple network interfaces in the same or different subscriptions. If the monitored network interfaces are in different subscriptions, the subscriptions must be associated to the same Azure Active Directory tenant. Additionally, the monitored network interfaces and the destination endpoint for aggregating the TAP traffic can be in peered virtual networks in the same region. If you are using this deployment model ensure that the virtual network peering is enabled before you configure virtual network TAP. Learn how to Create a virtual network TAP.